Hello there, today is THE day! All the new products from Clearly Besotted will be released this evening at 10pm. I have one last teaser to share with you today and it is another cutie. 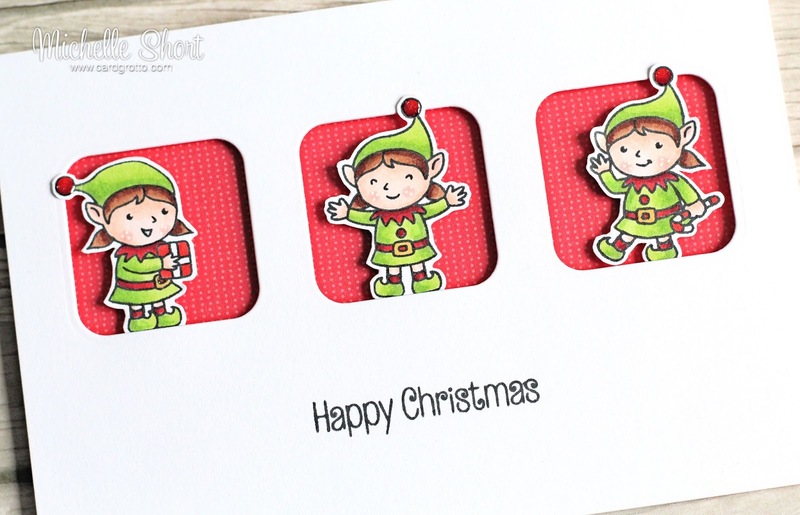 I am using the new Little Elves stamp set, it is just adorable! I started off by taking a panel of white cardstock and die cutting the SSS Tri Square die with it. The sentiment from the set, was stamped below the apertures in black ink. On a separate piece of cardstock I stamped the little elves, coloured them using Copic Markers and fussy cut them out. 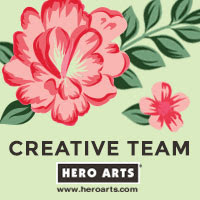 I took a piece of pattered paper from the Lawn Fawn Snow Day collection and added this to a white card base. The aperture panel was then adhered on top with foam tape. The little elves were then places in to the apertures using more foam tape. I finished off by adding a little Glossy Accents to the top of their hats, and clear WOS to their buckles on the belts. I also added a little white gelly roll pen to their cheeks. COPIC MARKERS: Skin: E11, E00, E000, R20. Hair: E27, E25, E23. Clothes: R89, R37, R27, YG17, YG23, YG03, Y26 (buckle). Candy Cane and present: R14, R17, R24. I really hoped you have enjoyed seeing my cards over the last four days. I loved making them. There are a few sets that I haven't had the chance to play with yet, I will share these in my release video this afternoon. I hope you will pop back for that. In the mean time, Stephanie will be sharing the full reveal shortly, as well as having links to the rest of the DT/GDT sharing today. A big thank you goes to the incredible Yoonsun, for being an amazing guest. See you later! 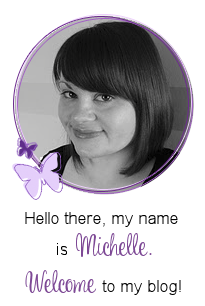 This is so sweet Michelle - looking forward to the release later! The elves are perfectly sized for the windows (or vice versa!). Great card. Your trio of elves is absolutely adorable! Acorable card. Better check out your other cards as well. Love the elves card. I had to get the set. They are so cute! What a fabulously fun design. These little elves definitely are sweet. The Elf stamp/die set is one of my favorites. Your card is so cute. funny and sweet card, so pretty!!! 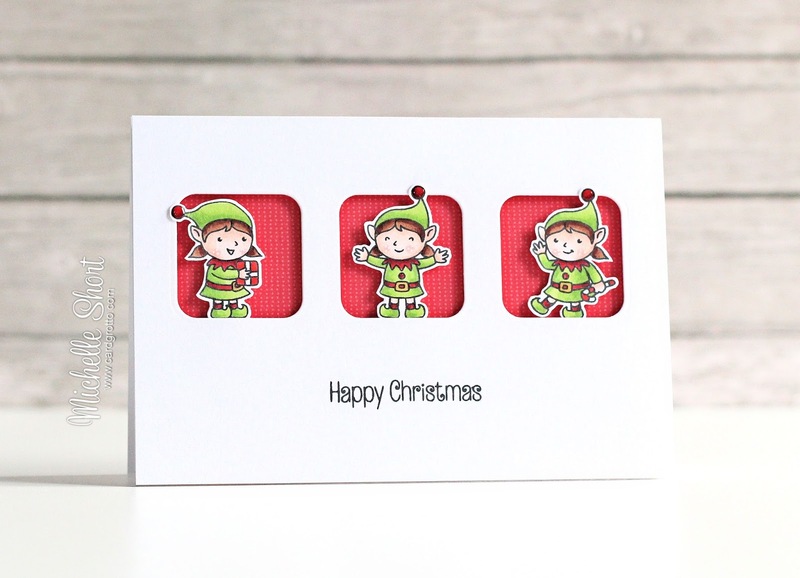 Those elves are so cute, and you colored them and displayed them so beautifully on your card!! SO, SO cute!! Love the layout. Beautiful card!! Love the cute elves! The elves are a no brainier ! Well done !